My review copy: A copy was provided by the author in exchange for an honest review. At the ripe age of 21, happily single Mericle Edwards discovers that her body – her human body – is only a temporary fix. Born in the Deep as a princess with fins and gills, she was hidden amongst the humans, so her father – a corrupt sea king – could not use her to his advantage, or worse, destroy her in order to keep his position as ruler of a kingdom in the North Atlantic. A mysterious visit from a crystal-eyed stranger, along with the onset of startling abilities brings Meri to a realization that her life is in for a drastic change. Expectations are high and duties aren’t taken lightly in the Deep. Thankfully, Meri’s true form knows exactly what’s expected of it. With the guidance of her mentor and his unmatched ‘charm’, and a few others along the way, Meri will have to make some tough decisions. Will she fulfill her dream of becoming a small town veterinarian or give it all up to save a world and a lifestyle she remembers nothing about? Is there someone she’s destined to be with after all? Will her deadly fear of water be a problem? "Don't say it!" I covered my ears in horror, remembering my first impression of Mat with his dazzling eyes and magnetic presence. Mat pulled my wrists away from my ears. He said softly, "I wasn't going to say anything like that. I don't want to embarrass you." "The selfish part of me wanted you for myself, no matter what. And please, don't ever think something could damage our friendship. I will remain both your friend and protector until the day I die." "I... think..." he hesitated for a moment, like the words weren't quite ready to leave his mouth. "I think you're beautiful." "Princess, your life was and still is the reason for mine. You need to know that. No matter what happens, I will always feel a unique attachment to you." I'm always looking for New Adult books that are different from the regular contemporaries. You know, the ones that are largely focused on whether or not the guy and girl will get together, and usually makes me angry at least once because the guy makes me jealous and the girl acts clueless, and just AH. I love New Adult, but I like things that are different. 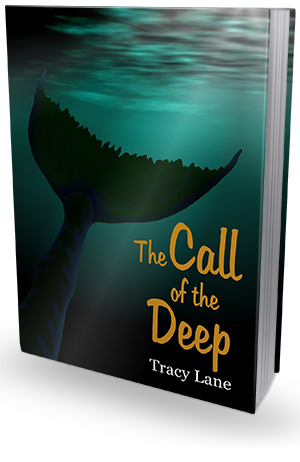 So when I got the chance to read The Call of the Deep, I was incredibly excited! 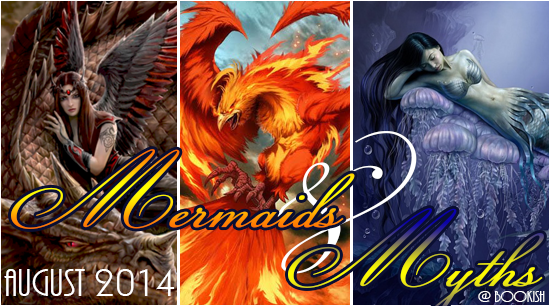 New Adult, mermaids, romance...it sounded fabulous. And goodness gracious, let me tell you, IT WAS. It was so fabulous! I seriously loved this book. LOVED. The main character is Meri, and at first she seemed kind of odd to me. Not sure why. Maybe it was the way she thought or something. But as I spent more time in her head, I ended up really liking Meri. Like, a lot. She's the kind of main character that does all the things we'd want her to. A guy tried to get into deep feelings within a day or two of meeting him? Break it off, because that is not healthy. Sure, Meri didn't exactly understand what was going on completely at the time, but she was logical about it, and I liked that. Later, with Mat, she jumped into believing him, but she was logical there, too. She had REASONS for believing him. The romance is more complicated than I thought it'd be in the beginning. There is something of a love triangle, but it is one of the good ones. I was legitimately conflicted as to which guy I liked more, and ended up totally fine with the way things straightened out. If you are hesitant to read the book because of this love triangle, don't be. It doesn't last too long. And as I said, for the period of the book in which there is a love triangle (sort of), it is a very good one. But aside from that shape, the romance was just so sweet. It fulfilled my need for sweet romantic things, and made me feel so happy. I loved both of the guys. There's Mat and there's Jeff. Mat is Meri's guardian, and he's the one who is supposed to help her grow back into being a mermaid. He's such a kind, understanding person, and he won me over super quick. I heart that guy big time. Jeff is another guy Meri meets, and I thought he'd be a jerk at first. I mean, their first outing was a blind date. But Jeff proved himself with the quickness, and soon I was loving all over both him AND Mat. I honestly do not have a team here. I'm on one team for Meri, and I'm on the other team for...well, myself. Ha! But I do love them both. They're both great guys, which is great. Usually there's one fantastic guy and then the other one's a douche. Not the case here. I feel like this needs repeating--the love triangle is not a huge deal. For the point in time when it plays a part, it is an effective triangle. Tracy Lane's writing was pretty darn great, too. The world building made me interested in the Deep, and I enjoyed learning more. The romance gave me happy feelings. The characters made me grow to love them, and I became so invested in their story. The plot came with surprises. Oh, yes. SURPRISES. I thought I'd guessed how the story would go down, and then I found out that I was very wrong. Which succeeded in pulling me into the book even more, since I needed to find out how everything DID happen, of course. Overall, The Call of the Deep was amazing! I got sucked into the world of these characters that I grew to adore so much, and I was riveted by the plot that took me for such a ride. I absolutely loved this book, and it is definitely one I recommend. Especially to people looking for more unique New Adult stories. And I know I will definitely keep an eye out for anything more from Tracy Lane, because I am definitely in need of some more of this brand of awesome in my life.